Born: 1897, Curragh Camp, County Kildare, Ireland. Died: 18th August 1916; age 19; KiA. Relatives Notified & Address: Son of Mr E.J. & Mrs R.A. Bradley, of 13, Tokio Road, Ipswich. 1901 42, Rectory Road, Ipswich. Vivian was 4 years old and living with his mother & siblings. They were staying with their maternal aunt & uncle + cousins. Frederick William Hazelwood, 32, a Clerk, born Woodbridge, Suffolk. Margaret Elizabeth Hazelwood (nee Copping), 30, born Ipswich, Suffolk. Clarence Edward Hazelwood, 6, born Ipswich. Sydney Hazelwood, 4, born Ipswich. Rosa Marguerite Hazelwood, 2, born Ipswich. Rosa Ann Bradley (nee Copping), 33, born Bramford, Suffolk. Charles Edward Bradley, 12, born Limerick, Ireland. Rosa Mary Bradley, 11, born Ipswich. Irene Marguerite Bradley, 5, born Dublin, Ireland. In 1901, Vivian’s father was living at 18, Newdigate Street, Normanton, Derby. Edward James Bradley, 43, a Band Master – Notts & Derby Regiment. 1911 7, Tokio Road, Ipswich. Vivian was 14 years old he was living with his parents & siblings. 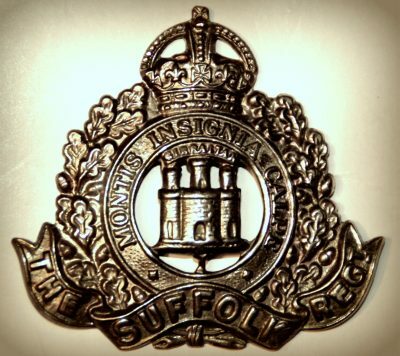 Edward, 53, a retired Army Bandmaster – 4th Suffolk Regiment. Charles, 22, a Lance Corporal – Musician – 1st Sherwood Foresters. Irene, 15, Apprenticed to Millinery. 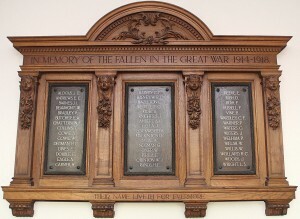 Vivian is also remembered on the war memorial at Christ Church, Tacket Street, Ipswich. 4th Btn. On the 18th, not long before zero hour, captain H.F. Ling was wounded, and still later, Lieut. R.D. Hume, M.C., entailing important changes in command at the last moment. Captain Ling remained in the trenches until the attack was over. Neither of the battalions on the right and left was able to make much progress. The 4th Battalion, in the centre, pushed forward. For a time two of our companies occupied Wood Lane trench, but being unsupported, and 2nd Lieut. Bedwell (the only officer to reach the trench) having been killed, it was impossible to hold on. However, considering that the battalion has attacked after four days in the front line, it was justly pleased with its work. A rough night followed, during which the battalion was relieved. Early next morning they moved to Fricourt Wood, and at sundown proceeded to a camp north-east of Meaulte, near Albert Road. The casualties on August 18th were as follows – Killed: 2nd Lieuts. V.L.S. Bedwell, H.C. Pawsey, and E. Norton, and 33 other ranks. Wounded: Captain H.F.Ling; 2nd Lieut. N.E. Suttle, and 108 other ranks. Missing: 50 other ranks. Total, 196. The 2nd battalion were seeing action at Cochrane Alley.